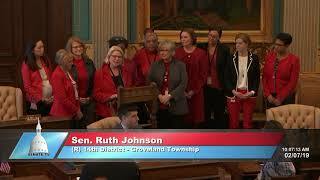 Senator Ruth Johnson spoke on the importance of clean water on World Water Day at the Michigan Senate on March, 21, 2019. 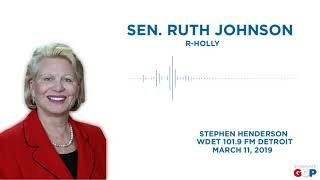 Senator Ruth Johnson speaks with Stephen Henderson on WDET 101.9 FM about several issues facing the state of Michigan. 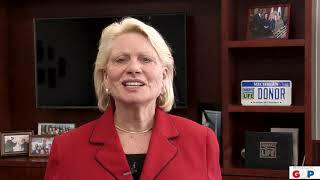 Senator Ruth Johnson regnized the importance of Donor Day -- a day to encourage organ donation to save lives on Feb. 14, 2019. 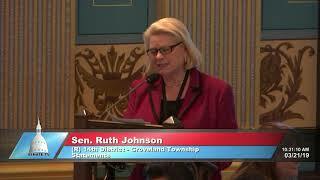 Senator Ruth Johnson welcomed Rev. 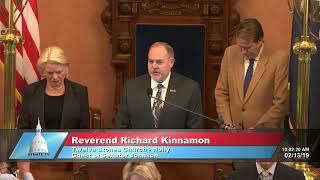 Richard Kinnamon of Twelve Stones Church in Holly to the Michigan Senate to deliver the invocation at the start of the Feb. 13, 2019 session.